Add to this the constant external pressures from government and other organisations pushing for stricter environmental standards. 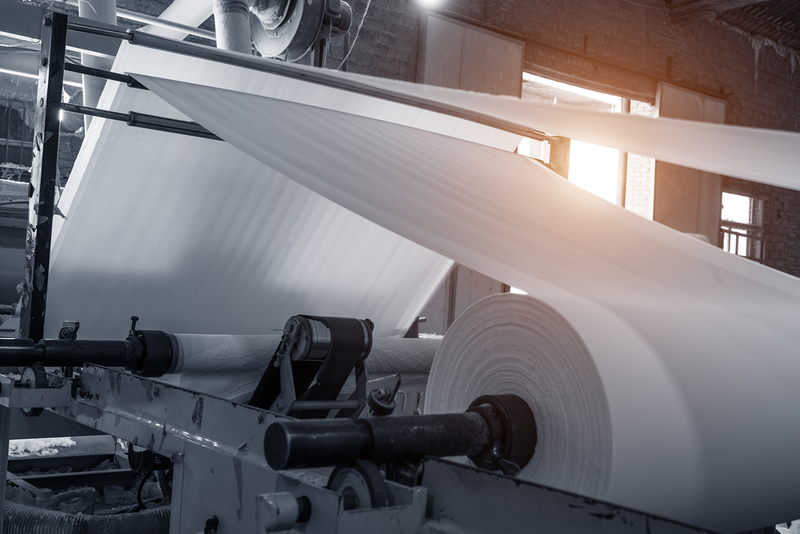 To compete, the paper and pulp industry must embrace efficiency producing new technologies that can save time and money. While some see machine learning and related technologies as a threat to companies and jobs, these developments will help ensure the long-term survival of both. While the pulp and paper industry has seen tremendous pressures in recent years, it has proved resilient. Though graphic paper demand worldwide shrank for the first time in 2015, the industry has shifted to meet the expanding need for paper packaging and labelling. Other products, especially hygiene lines, have seen strong growth. This growth has enabled the industry to see the modest expansion that has sustained it. Though the industry has reason for optimism, it still must join others in embracing the kind of technology that will help to provide a competitive advantage well into the future. Machine learning represents an important subset of the broader field of artificial intelligence. While artificial intelligence refers to electronic devices mimicking human behaviour and decision making, machine learning takes place when devices get “taught” how to perform tasks or to analyse data. They use algorithms to uncover connections, enabling systems to make routine decisions without human intervention or the possibility of human error. Machine learning goes hand in hand with the adoption of the Internet of Things, or (IoT.) In manufacturing, IoT usually consists of a system of devices and sensors linked to computers that can analyse data either alone or in conjunction with human operators. Combined, these systems ensure more consistent quality, boost production, increase efficiency, and bolster safety. They can respond faster to issues and alert human operators when problems occur. The pulp and paper industry by necessity utilises high temperatures and volatile chemicals. Split seconds matter when emergencies start to develop. The faster response of banks of "smart" sensors and computers could mean the difference between a safe resolution versus injured workers and damage to valuable assets or property. Manufacturing overall has taken advantage of machine learning and IoT to boost competitive advantage. Manufacturing can claim that over one-third of operations now rely in some way on advanced technologies in production with most others considering upgrades in the near future. This pales in comparison with Asia-Pacific nations who have embraced it much more consistently. Pulp and paper companies in the Far East are no exception to the trend. British pulp and paper companies must compete with both highly technological producers in industrialised nations and the low labour costs in the Third World. Adoption of machine learning systems negate the advantages held in other countries while returning to the forefront other characteristics that make the US one of the world’s top rated locations to source manufacturing. Threats to the paper industry in the UK and to the jobs it provides come from many sources. Producers worldwide will use low labour costs and automation to undercut British and EU industry while market and regulatory pressures will continue to fluctuate to create uncertainties. In this environment, machine learning and IoT represent an opportunity to counter the true threats to the industry. Economies of scale created by industry-wide consolidation can only go so far in absorbing the costs borne through dealing with these pressures. Added efficiencies and more consistent quality alone mean that less money gets spent on wastage, more on developing the business itself. Another critical factor lies in opportunity cost. Businesses that do not adopt machine learning, IoT, or other advanced technology pay the cost of not operating more efficiently. Imagine companies a century ago that chose to continue using horse and wagon delivery as opposed to trucks. They served fewer products to fewer people, the money lost representing the opportunity cost paid. Certainly, advanced technology requires an investment, but that price often pales in comparison to falling behind the competition. The growth in the paper industry should not give anyone a false sense of optimism that uncertainties in the industry have passed. Companies should put themselves in the best condition possible to compete regardless of economic or political changes that could benefit or adversely affect the industry. 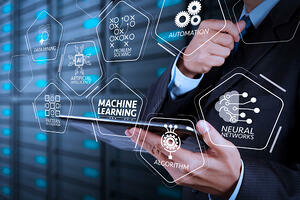 Martin Thomas, European Marketing Manager at Radwell International believes that “Adopting machine learning and IoT technology puts each business in the best position to withstand the slings and arrows of market fortune. Efficient operations prevent the kind of cash bleed that occurs when processes lack efficiency and quality is relatively less certain. Instead of serving as a threat to production and jobs, investing in advanced technology will help ensure the long-term survival and even prosperity of the paper industry and its essential contribution to the economy”.